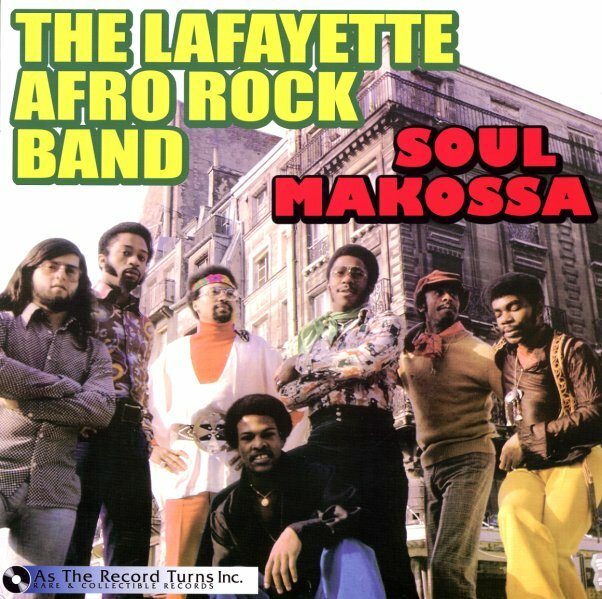 Amazing Afro Funk from one of the greatest groups of the genre – The Lafayette Afro Rock Band, a funky ensemble recording in Paris in the early 70s! The group were working in a hotbed of cross-cultural styles – and brought American funk rhythms firmly into play with African influences – creating grooves that were even heavier and harder than the work at the time by Fela Kuti, and which have stood for years as some of our favorite funk records! This album's one of their best – named after the title cut, their great take on Manu Dibango's "Soul Makossa" (done here even funkier than the original! ), and featuring other great tracks, like "Voodounon", "Azeta", and "Hihache" – all of them filled with heavy bass, tight drums, and fuzzy guitar! Other cuts include "Oglenon", "MF Grayson", "Nicky" and "Right Foot". © 1996-2019, Dusty Groove, Inc.